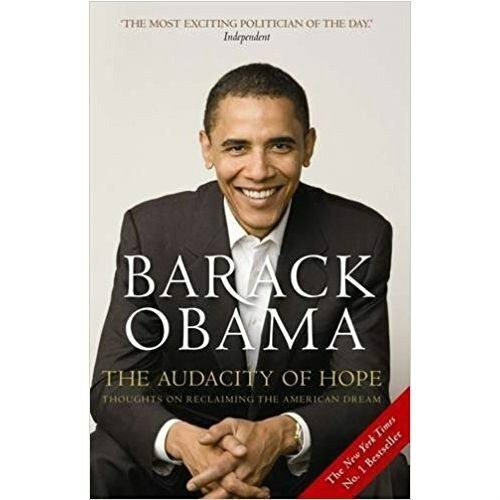 Barack Obama's success in becoming President-Elect of the United States means he will dramatically change the face that his country presents to the world.In this bestselling book Obama discusses the importance of empathy in politics, his hopes for a different America with different policies, and how the ideals of its democracy can be renewed.With intimacy and self-deprecating humour, Obama describes his experiences as a politician and balancing his family life with his public vocation. His search for consensus and his respect for the democratic process inform every sentence. A senator and a lawyer, a professor and a father, a Christian and a sceptic, Barack Obama has written a book of transforming power that will inspire people the world over.